Ahhh, Autumn in New England, the pleasant transition between the hot sticky summer and the bitter biting winter. Put on your sweatshirt because August is over and only the brave continue their barbecues this deep into the calendar year. Burn the last of your Yankee Coconut Bay to make room for Pumpkin Pie. Here, the time when nights and sleeves lengthen. When mornings and ales darken. When the air thins and meals thicken. The daze ends and school begins. Each step is crisp from perennial hibernation and a dynamic display evolving from fern to dandelion to mango to scarlet. Your flannel lined jeans should keep you warm while you comb the yard for the brown carcasses of foliage. Your local Home Depot has all the bags you need to rid yourself the burden of those pesky leaves for just $10.00/pack. Leaf collection has been around for quite some time, but it seems to me as a waste of time, money, and natural resources. I want to take a look at leaf collection from two different points of view and thus two different systems; from the user of the program and from the collection program itself. I also want to point out the flattening of a natural cycle into a semi-linear industrial process. 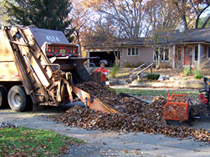 Every autumn, suburban residents follow a sort of habit or routine; wake up early some Saturday morning in mid- to late October; rake, blow or vacuum the leaves in the yard; make a huge pile; shove them in several bags; haul them to the front of the house and forget about them until the truck rumbles through Monday at dawn. Maybe this happens several times throughout the season and maybe you’ve coaxed your next of kin to help you (or do it all themselves, the lazy bums). It seems reasonable enough, get rid of the damn leaves. However, if we take a step back and adjust our focus, this practice is inefficient and hammers flat a beautiful natural cycle into a system that requires absurd amount of energy to float. A system that follows a few of the cliche principles that have arisen in post-war america; NIMBY (not in my back-yard) and out-of-sight, out-of-mind. 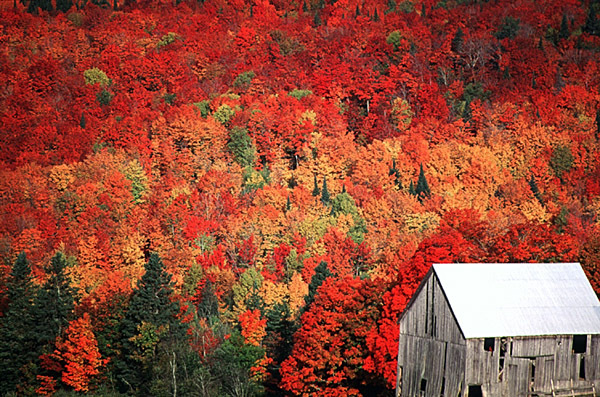 In New England, the deciduous trees make leaves in the spring. Then, the leaves die and fall on the ground. I shouldn’t have to tell anyone this, but, when left alone, the leaves disappear. In fact, the leaves disappear into the earth to make new earth. A beautiful system indeed, the power plants of the summer turning into the fuel for next spring. Of course, it isn’t as simple as this in a functioning ecosystem, but almost. In essence, when we rake our leaves and send them off in a truck, we are pulling away a large source of nutrients for our immediate ecosystem, our yard. This is where the irony sets in and I’ll run through our autumn routine again from another point of view. We wake up that October morning bound for the back yard. We have to drive to the Home Depot up the highway and pick up the leaf collection bags because the collection company will only pick up this type of bag. Have the kids or a landscaping company blow and vacuum the leaves up and pack them in the bags. Hopefully, the waste collection company picks the leaves up under the same contract as garbage collection, or else we’ll see an additional charge reflected. Come Spring, our new task will be to get our yard as green as possible. We need drive down to Home Depot and pick up some fertilizer. Also acid rain has the pH of the soil down, so we’ll pick up some lime to bring it back up. Tell the kids to spread your fertilizer and lime and make sure they water the lawn after. The problems with this cycle run deep. Hopefully, we are extremely excited about this task and provides us with endless smiles and laughs, because if it doesn’t, then we should walk back inside and let nature do her handy work, effectively avoiding all this nonsense. 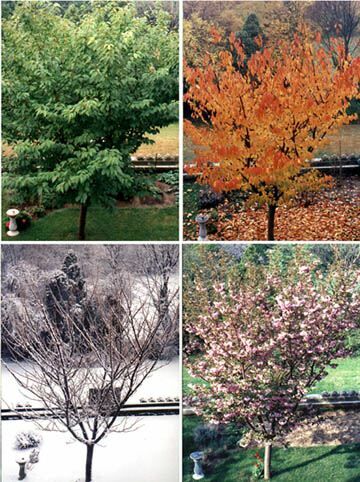 The public’s demand for leaf collection has sparked the invention of leaf collection programs. I have to praise these companies for ingenious business models on profiting from peoples laziness and NIMBY consciousness. All the leaves and other yard waste products collected are composted into nutrient rich organic compost, peat or mulch. The resulting product is sold to customers, a portion of which are the same people who had the leaves collected last fall. Genius! Inject yourself along a natural cycle and charge the people money at the input and output of the cycle. The most ingenious part of the model is that the processing of the leaves and yard waste costs no money, it’s naturally occurring and inevitable. 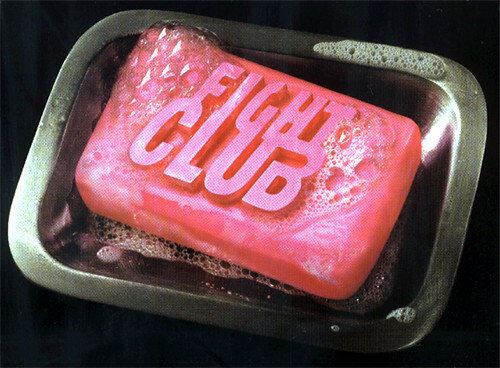 This system is remarkably similar to another sick business model; Fight Club soap, where human fat from a liposuction clinic is rendered to designer soap and sold to high-end department stores. Raw materials extracted from the upper echelons of society are processed and sold back to the same group. “We’re selling their fat asses back to them,” – Tyler Durden. Round off the ridiculous leaf collection cycle back to something more natural and avoid some costs. Now, I understand that some yard waste takes multiple seasons to compost (especially maple leaves) and even if you do have a compost pile, leaf raking is still necessary and the result is probably not enough to fertilize the lawn completely. Even so, I’m talking about efficiency. You’ll save money, save time, use less fertilizer and drive around less by composting. Plus, you can have your kids do something else, like wash the windows. If you’re too lazy to compost and still have a inextinguishable flame of vengeance against leaves, you can avoid the entire process and buy a mulching lawn mower and just mow over the leaves, killing a multitude of birds with a single stone. It collects, cuts and composts with one fell swoop and your lawn will thank you with a big green smile. Don’t be duped into an extraneous and energy intensive routine that will make you broke, wreck the environment and give your kids cancer; compost your own yard waste. This entry was posted on 11/30/2009, 8:13 pm and is filed under Perceptions. You can follow any responses to this entry through RSS 2.0. You can leave a response, or trackback from your own site. Well done Billiam. I am a big fan of the mulching lawn mower until millions of leaves fall and my lawnmower can no longer mince ‘em up small enough. Mulching lawn mowers also allow for more moisture to be stored in the lawn and less water will be needed to keep the grass green. Not sure why I thought I’d leave my 2 cents, but what the hey.